Senate President Manuel L. Quezon and his running mate Senate President pro tempore Sergio Osmeña were elected as President and Vice President, while voters elected representatives for the new unicameral National Assembly and for local positions. Inauguration of the Commonwealth of the Philippines. The Commonwealth was the culmination of efforts to secure a definitive timetable for the withdrawal of American sovereignty over the Philippines. It was not until the Jones Law of 1916 that the pledge of eventual independence—once Filipinos were ready for self-governance—was made. The Jones Law led to the creation of an all-Filipino legislature composed of the Philippine Senate and House of Representatives. However, the position of Chief Executive—the Governor-General—and what was considered the most important cabinet portfolio—Public Instruction (precursor to the Department of Education)—were reserved for American officials appointed by the President of the United States. Half of the Philippine Supreme Court was reserved for Americans as well. Independence Missions from 1919 onwards were periodically sent to the U.S. Congress and the White House to lobby for and negotiate independence. In 1931, the OsRox Mission (which stands for “Osmeña and Roxas”) successfully lobbied for the enactment of the Hare-Hawes-Cutting Act, which was passed over President Herbert Hoover’s veto in 1932. This was, however, rejected by the Philippine Legislature. 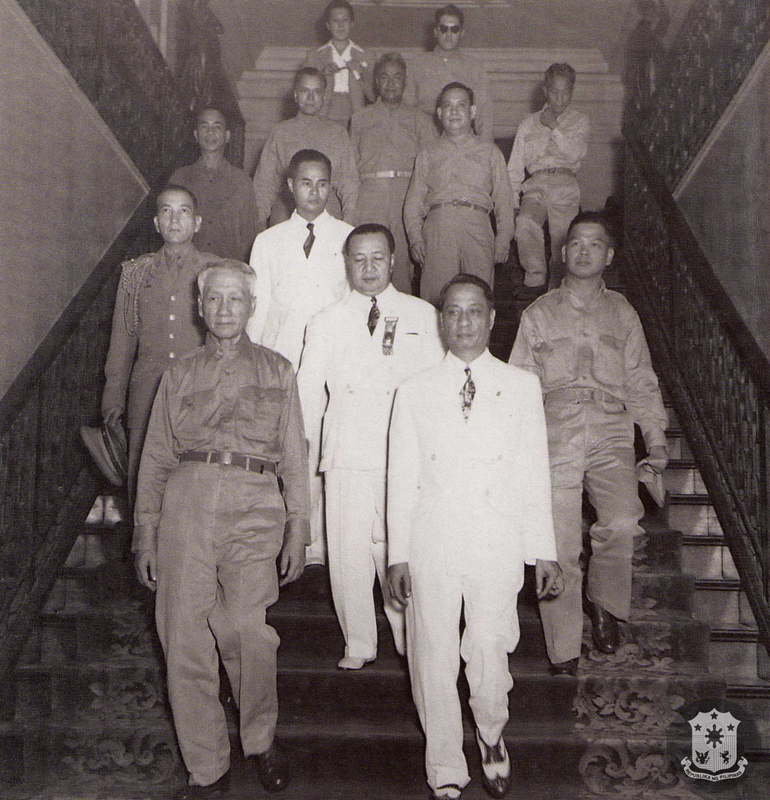 In 1934, a new mission (the QuAquAl Mission, made up of Quezon, Benigno Aquino Sr., and Rafael Alunan) negotiated the Tydings-McDuffie or the Philippine Independence Act, which set a ten-year transition period to be known as the Commonwealth of the Philippines, followed by the recognition of the independence of the Philippines by the United States. The Tydings-McDuffie Act established the parameters for the preparatory period. Some powers of supervision were reserved to the United States, as well as foreign diplomacy and currency. In all other respects, the Philippines became self-governing. Among the provisions was the election in 1934 of a Constitutional Convention to draft the constitution of the incoming commonwealth government. Its was presided over by Claro M. Recto with 202 elected Filipino delegates who decided that the constitution to be written would cover not only the transitional Commonwealth, but would apply to the Republic as well. The convention finished its work on February 8, 1935 and submitted it to the President of the United States for certification that its provisions complied with the Philippine Independence Act. It was certified on March 25, 1935 and it was subsequently ratified by the Filipino people in a plebiscite on May 14, 1935. Aside from the certification by the President of the United States of the draft constitution for the Commonwealth of the Philippines, the United States government also reserved certain powers: currency, coinage, imports, exports, and immigration laws would require the approval of the President of the United States. The United States could also intervene in the processes of the Commonwealth of the Philippines via Proclamation by President of the United States. All decisions of the courts of the Philippines were also subject to review by the Supreme Court of the United States. However, these powers were exercised rarely. The Constitution of the Commonwealth of the Philippines provided for a presidential system of government with a unicameral legislature. It had the power to enact laws for the Philippines, known as Commonwealth Acts, through the National Assembly. With war looming over the world following German aggression in Europe and the Japanese annexation of Manchuria, the National Assembly conferred emergency powers on the government. The Philippine Army was placed under the command of the United States Armed Forces Far East (USAFFE), headed by Field Marshal Douglas MacArthur, who was recalled to active service after having served as military adviser to the Commonwealth since 1935. Filipinos reelected Quezon, Osmeña, and legislators to fill seats in the newly created bicameral congress on November 11, 1941. War in Asia broke out on December 8, 1941 following the Japanese bombing of Pearl Harbor, the American naval fortress in Hawaii, and Axis military advances throughout Southeast Asia. USAFFE, composed of Filipino and American personnel, held off the Japanese war machine that had routed the French, British, and Dutch colonial governments in the region. But lack of reinforcements, disease, and obsolete armaments due to the “Europe First” policy adopted by U.S. President Franklin D. Roosevelt, hampered any real progress. On December 24, 1941, President Quezon and his war cabinet evacuated to the island stronghold of Corregidor in Manila Bay and two months later left for Australia, en route to the safety of the United States. There the Commonwealth Government continued to function in exile, gaining recognition from the world community as a member of the United Nations. 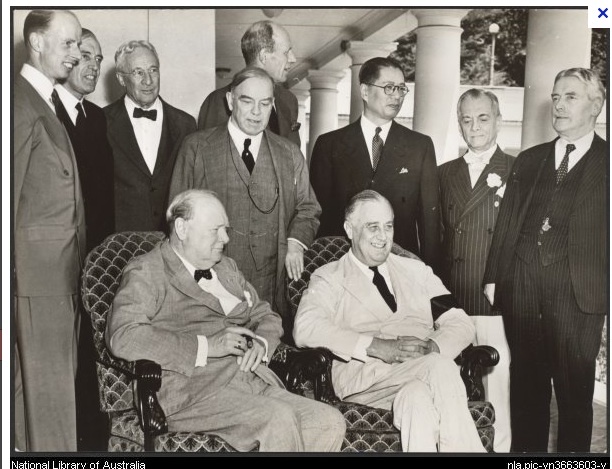 President Quezon continued to represent the Commonwealth of the Philippines in Washington, D.C. He would serve in the same capacity, with an extended term in 1943 by virtue of Joint Resolution No. 25 of the United States Congress, until his death on August 1, 1944, resulting in Osmeña’s ascension to the Presidency. Osmeña gave his inaugural address in Washington, D.C., making him the only Philippine President thus far to deliver an inaugural address outside the Philippines. On October 20, 1944, Allied forces under the command of Field Marshal Douglas MacArthur landed on the shores of Leyte and began the campaign to liberate the Philippines. He was accompanied by President Osmeña, whose return formally reestablished the Commonwealth Government on Philippine soil. With the nullification of all acts of the Second Republic, President Osmeña convened the Congress, elected in November 11, 1941, on June 9, 1945. On April 23, 1946, the first postwar election was held, in which Manuel Roxas and Elpidio Quirino were elected President and Vice President over re-electionist Osmeña and his running mate, Eulogio Rodriguez, Sr.
Roxas took his oath of office on May 28, 1946 as the third and last President of the Commonwealth of the Philippines in front of the ruins of the Legislative Building in Manila. In the succeeding weeks, pursuant to the provisions of the Philippine Independence Act, the Commonwealth of the Philippines became the Republic of the Philippines—the Third Republic. President Osmeña and President-elect Roxas descend the steps of Malacañan Palace. They are followed by Vice President-elect Elpidio Quirino, who will become a president of the Third Republic. 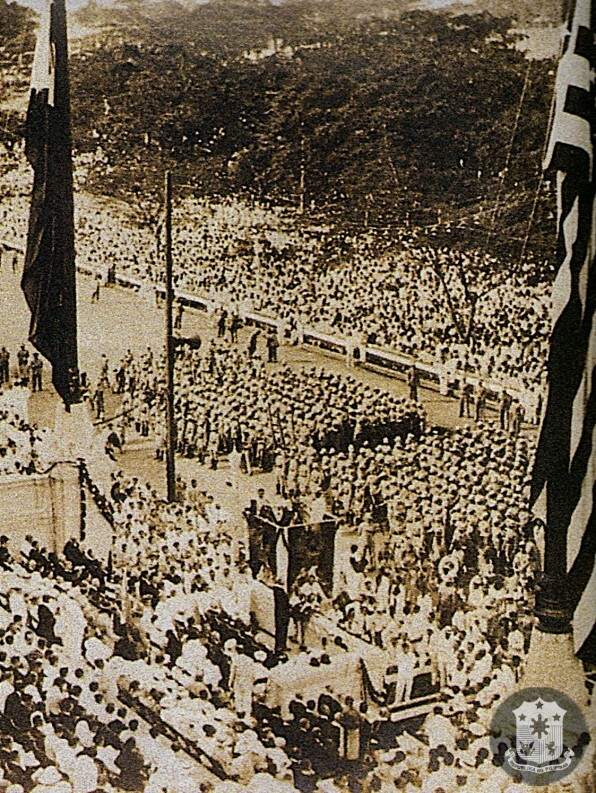 Thus, on July 4, 1946, Roxas would again take his oath as President, this time as President of the newly-inaugurated and independent Republic of the Philippines. The Congress of the Commonwealth then became the First Congress of the Republic, and international recognition was finally achieved as governments entered into treaties with the new republic.